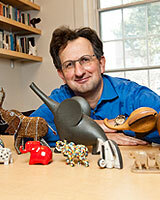 Enrico Spolaore is the Seth Merrin Chair and Professor of Economics at Tufts and a Research Associate with the NBER. His research interests are in political economy, growth and development, and international economics. The Political Economy of Heterogeneity and Conflict with Romain Wacziarg, in Tibor Besedeš and Volker Nitsch (eds. ), Disrupted Economic Relationships, MIT Press, 2019. Ancestry and Development: New Evidence with Romain Wacziarg, Journal of Applied Econometrics. New Genetic Distance Data. War and Relatedness with Romain Wacziarg, Review of Economics and Statistics. Ancestry, Language and Culture with Romain Wacziarg – in The Palgrave Handbook of Economics and Language, Victor Ginsburgh and Shlomo Weber (eds. ), Palgrave Macmillan. Cultural Distance Data. The Political Economy of European Integration, in Handbook of the Economics of European Integration, H. Badinger and V. Nitsch (eds. ), Routledge. Culture and Economic Growth, The International Library of Critical Writings in Economics, Edward Elgar. Catalonia and the Perils of Fiscal Redistribution, The Economist, November 2nd, 2017. Des Catalogne comme s’il en pleuvait (in French), Les Echos. October 24, 2017. Nelle crisi territoriali servono istituzioni flessibili (in Italian) with Alberto Alesina in Corriere della Sera, September 30, 2017. The Consensus Crumbles. The Economists Who Foresaw the Backlash Against Globalization, The Economist, July 2nd, 2016. What’s Happening with the Number and Size of Nations? with Alberto Alesina in E-International Relations, November 9, 2015. Monnet’s Chain Reaction and the Future of Europe in Vox, July 25, 2015. Ancestry and Culture short article with Romain Wacziarg in Vox, June 27, 2015. Goldilocks Nationalism, The Economist, September 27, 2014. Cultural Distance Data – if you use them, please cite E. Spolaore and R. Wacziarg, Ancestry, Language and Culture, in Victor Ginsburgh and Shlomo Weber (eds. ), The Palgrave Handbook of Economics and Language, Chapter 7, London: Palgrave Macmillan, 2016. This entry was posted on at and is filed under Personal Webpage. You can follow any responses to this entry through the RSS 2.0 feed. Both comments and pings are currently closed.